A crime solving thriller - melodrama that will force you to use your brainpower to follow along, instead of simply sitting back and being entertained, Dr. Frost (2014-2015) is an OCN Korean television drama based on a successful webtoon of the same title created by Lee Jong Beom. It explores the personal history and current exploits of Doctor of Psychology Nam Bong Baek, simply nicknamed Dr. Frost by everyone who knows him because of his prematurely grown white hair even though he is in his thirties. 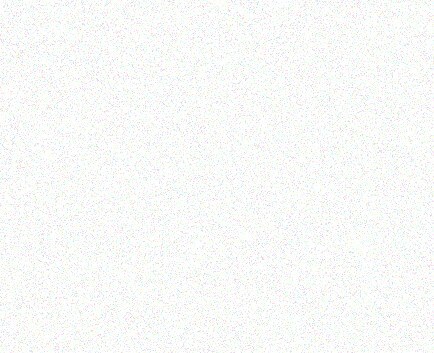 He is not an albino, as he informs anyone who inquires, rather it is assumed his hair turned white when he was a youth and suffered a traumatic injury after a car accident to the frontal lobe of his brain which controls the emotions, therefore he struggles to feel normal feelings of love, compassion, sorrow, etc. Instead, his brain strongly accentuates logical thinking skills as a coping mechanism, and therefore he is called on by the local police to show up at crime scenes to help pinpoint clues as to the emotional and intellectual states of criminals and victims at the time the crimes were committed, which he does with an astounding degree of success, helping to solve many criminal mysteries. Actor Chang Hui Song (mostly known for playing the teacher the girls crushed on in Heartstrings (2011)) gives a rather chilling performance in the title role: it's complex, for how do you bring about sympathy for a character who barely registers any common human emotions? He often seems robotic. He is basically playing a sociopath but one who is not criminally insane; rather he solves crimes instead. I totally fell in love with the lead actress Eun Chae Jung, who played his female assistant, the lively and lovely Ah Yoon Sung. She was the perfect tag-a-long character for him because she rarely became offended by his lack of emotions, but sought simply to help him in any way possible. I love humble characters with lots of energy and sweetness, and this actress played her character to perfection. I really yearn to see her in other dramas soon -- she made even more of a favorable impression on me than the leading actor! THE STORY: Nam Bong Baek, nicknamed Dr. Frost because of his white hair, is a handsome, strangely charismatic, yet emotionally cold Professor of Psychology by day at a college campus, and he moonlights as a bartender by night (a man who has troubles feeling emotions makes for a rather peculiar confidant as a bartender at night, and some of these scenes were highlights for me, as he correctly and ironically pegged the personalities of the patrons, often shocking his co-workers with his accuracy). "Now he's going to do this, now she is going to say this..." that type of behavior. like Dr. Frost when you visit a bar! Ha! When he was younger, Dr. Frost had gotten into a car accident, causing him to have a frontal lobe injury to his brain, leaving him with few, if any, emotions like normal people. Therefore, to adjust to the brain injury, and to adapt to daily living effectively, his brain accommodates increased reasoning and logic skills, making him a genius intellectually, but starved emotionally, lacking in compassionate social skills in dealing with people. When asked by his mentor, Cheon Sang Won (wonderful veteran actor Jung Woo Choi from Master's Sun and Doctor Stranger and many other dramas) to work at the university counseling center in addition to his teaching duties, Dr. 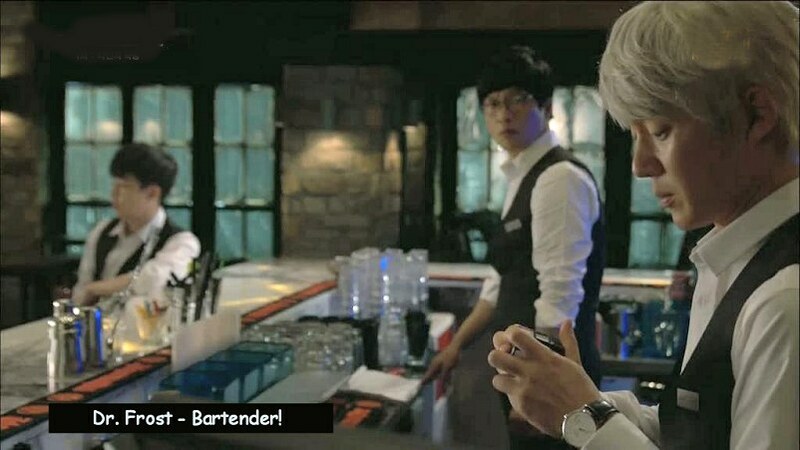 Frost agrees and encounters his old classmate as well as former colleague, Song Sun (Yoon Ji Lee from King 2 Hearts) who falsely believes he killed her sister and still holds animosity toward him, and he also meets his newly appointed teaching assistant, Sung Ah Yoon (Eun Chae Jung), whom he at first balks at working with but then whom he finally succumbs to when he notices that her own unique crime solving skills are quite substantial. Two heads are better than one and they begin to make a great team. By episode three he even leaves her a present of a new jacket by her desk because she helped him so much on a case, and she smiles happily and looks over at his empty desk -- he is warming up to her, despite his lack of emotions. With the jacket is a simple paper note with one word on it: Rapport. Awwww ....! This is one of the best "love notes" I've ever seen. Using his high reasoning and detective skills, Dr. Frost assists local detective Tae Bong Nam (character actor of many dramas Ji Ru Sung) in solving difficult violent crimes; as their professional relationship deepens the trust between the two men deepens as well, and they learn more from each other than just crime solving skills -- discussing privately the mysteries of life, and the peculiar personalities of the people they work with daily. It seems that each crime they solve becomes more violent than the one before it, testing their patience and forbearance. Dr. 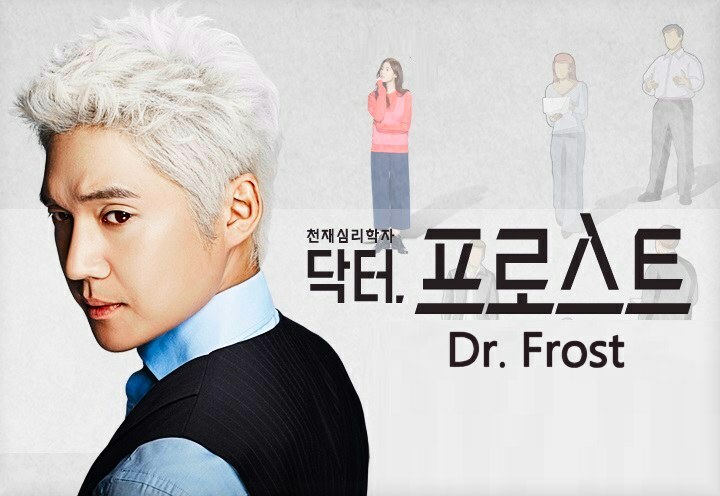 Frost was a drama that exceeded my expectations in many ways and I ended up wishing it were 20 episodes instead of just 10, similar to the feelings I had when I finished my number one crime solving drama that I believe is a masterpiece, Missing Noir M (2015), also a 10 episode OCN drama. It was interesting to see Dr. Frost analyze different situations and cases depending on the person's expressions and body language, and in some cases, the state of corpses after the crimes of murder had been accomplished. He almost always picked up on clues that busy police and detectives missed. However, there were some parts of the drama which I felt weren't completely solved or that lacked receiving adequate closure, such as the testy and combative relationship between Song Sun and Dr. Frost. I wanted more answers than a 10 episode K-drama could provide effectively. Too many mysteries left unsolved in relation to a crime solving drama seems to defeat the purpose of making this type of drama in the first place. We want our relationships solved by the end of shows, not just the crimes depicted in the dramas. Open endings usually drive the audience a bit crazy: I know they are doing so in case a sequel can be made, but in the K-drama industry there are few if any sequels made at all, so the writers and producers should provide as much closure by the end as possible. Leave a smidgen of doubt open, not one the size of a football field! The main delight of this show to me was the growing cute relationship of trust and friendship between Dr. Frost and his female assistant Ah Yoon. When he first meets her Dr. Frost keeps muttering under his breath that he doesn't need her, he makes fun of her old car, he thinks she is "flighty" instead of filled with pure simple energy and enthusiasm for her job. Little by little he sees her true worth, and even grows enough to be concerned about her welfare. From a man lacking compassionate feelings prior to meeting her, this positive change in him was a stunning success. If they ever DO a sequel I will be the first in line to watch it!